Baking Day & Recipe Card Free Download! Hello, friends -- Today I have a fun recipe card to share with you (I know, it's been a while since I shared a recipe! ), made with this darling new Pink Ink Baking Day stamp! Free PDF Download can be found here: Download 4-Color Printed Recipe Cards 5x7_Sharon_Harnist -- You can probably size this down to 4x6 or 3x5 when printing it, if you prefer a smaller size. I like to use photo albums to house/store my recipe cards -- they are protective and a relatively cost efficient way to store them, thus, the photo-sized custom recipe cards! Wouldn't this make a great gift set of blank recipe cards for a baking enthusiast friend? I love this sweet retro image! Hello, friends! Just a mid-week PSA reminder that you still have until this Friday, August 28 to save 40% off ALL the products (41 pages worth!) in Ellen Hutson's Overstock category HERE. Click on the image above and use the coupon code "goodthings" at checkout, to receive your discount! Look at those awesome opaque White Pearl dots on black cardstock ... amazing and great for doodling or adding pretty touches to your Copic colored images! Flowers are some of my very favorite things to color . . . I find it very soothing and relaxing, and it’s fun to make them any color combination you’d like (with your Copic markers)! Imagine my delight with Taylored Expresssions beautiful Bouquet stamp series! You can find all the details about this card today over on the Taylored Expressions blog . . . I hope you'll join me there! A scrapbook in a mini mason jar (or several jars)! 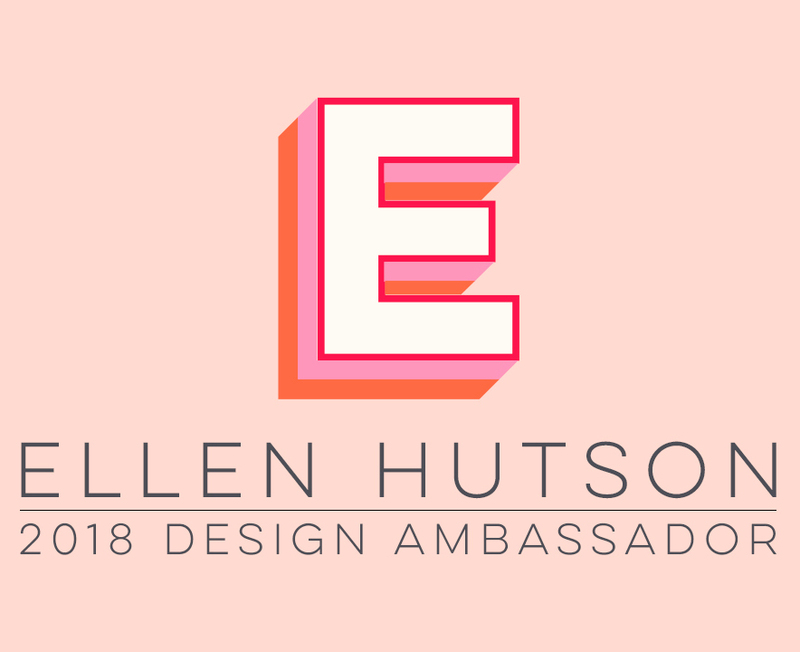 I hope you'll join me today over in Ellen Hutson's the CLASSroom for all the details on this project! Happy weekend! You may be wondering what the word "Kirarina" in my post title means ... Let me introduce you to one of my favorite new products from Imagination International Inc, the Copic marker distributor for North America! 2win – Water based/scented. Each marker is dual-tipped and features a light and dark shade of each color as well as both chisel and fine tips. Perfect for doodling. Works best on regular copy paper or stationery. 2win Oil based – Double-ended/fine and round nib markers featuring two colors on one pen; for use on any surface. WiNK – Multi-purpose/metallic pen with shimmery specks of glass; works on a variety of surfaces and looks great on light and dark surfaces. Cute – 3D, scented puff paint. Hand washable after 72-hour dry time. Can be used on paper crafts to add a bit of dimension to projects. For best results when working on absorbent surfaces, slow down so the paper has time to absorb the ink. Once opened, Kirarina WiNK should be kept stored horizontally to keep the flakes of glass evenly distributed (just like the Atyou Spica Glitter Pens). If you are having issues with ink flow, shake thoroughly and pump the tip. The Caps: Not only are they a cute petal shape, but that shape keeps them from rolling off your desk AND they have the same child-safe feature of small air holes in them, like Copic's Ciao marker! (So if they should become lodged in one's throat, the holes allow for air to still pass through the cap). Keep in mind these pens are similar to a paint pen so to start using them, shake several times (you’ll hear the ball rolling around mixing the ink and glitter), remove the cap and press the tip onto scrap paper a few times to begin the flow of color. As you are using the pens, you may need to shake them a bit more and re-press the tip to scrap paper as needed to keep the color flowing. Finally, I used the AMAZING White Pearl on the dots between the flowers. All of the colors have a fabulous opaque pearly metallic finish to them that is absolutely amazing and as you can see, cover brilliantly -- even on black paper! TIP: I found that small mistakes can be carefully scraped from the paper using a craft knife, or by simply covering the mistake with my Black 100 Copic marker! Note: The Gold Metallic is more of an antique metallic gold and it, along with the Silver Metallic, are just that -- metallic rather than glittery shimmer. If you are looking for a nice bright shimmery gold color, my favorite is Dandelion (shown on the 6-petal daisy-type flowers above, with the Orange centers). The Silver Metallic will be great to color metal-like stamped images! To finish my card, I trimmed and split the colored panel and popped it up on Copic's X-Press It 1/2" Foam Tape on a Neenah 110 lb. Solar White card base. Thanks so much for joining me today . . . I hope you'll give these fabulous pens a try! I'm sure you will love them as much as I do! At the Beach Scrap Page & Giveaway! And anyone who knows me well knows I LOVE my flip flops and wear them everywhere, any time ... as long as it is above about 50 degrees! Thank goodness I live in a relatively warm climate with that type of weather about 9+ months out of the year! :) So it's no wonder I HAD to have this fabulous, huge new Taylored Expressions Flip Flop Garland die set which has four different sizes of flip flops! You can find full details about this page today over on the Taylored Expressions blog, along with a giveaway of the Flip Flop Garland die set I used AND a copy of the newest issue of Scrapbook & Cards Today magazine!! I hope you'll join me there and be sure to leave a comment on the blog post THERE, to be entered for the giveaway! Essentials by Ellen Holiday 2015 Release Hop Winner! Thank you all so much for entering my giveaway for the Essentials by Ellen Mondo Poinsettia stamp set by Julie Ebersole (so kindly provided by the Ellen Huston LLC store) and for all of your very kind comments! The winner of the stamp set, chosen by Random.org, is . . .
You have outdone yourself here with that poinsettia.. It is simply amazing!!! Those elves... look like they are going to pull a lot of shenanigans this winter. Thanks so much for the chance to win (email contact). Congratulations, LesLee, I have emailed you! If you don't find that email, please contact me via the email (envelope) link below my photo in the upper right sidebar of my blog, so we can get your mailing address to send your new stamp set to you! I hope you all have a wonderful week and I'll be back on Friday with a fun end-of-the-summer scrapbook page project! Today over in Ellen Hutson's the CLASSroom I have a tutorial on how to use masks to create a dimensional scene. Except for the fence and tag this card is all one layer, colored and airbrushed with Copic markers, using more of Julie Ebersole's new Holiday 2015 stamp releases! And speaking of that new release of stamp sets and dies, don't forget you still have until next Tuesday, Aug 11 to comment on my blog post below this one (Essentials by Ellen Holiday 2015 Release Hop) for your chance to win the stamp set I am giving away AND don't forget to enter on this blog post over in the CLASSroom for your chance to win the entire new release of stamp sets and dies! I also get to give this new stamp set that I used on my first project, called Mondo Poinsettia to one lucky commenter from my blog! Please leave a comment on this blog post to enter my giveaway! Please include your email address along with your comment, so we will have a way to contact you if you are a winner. You will have 48 hours to respond or another winner will be chosen. There is also a Grand Giveaway in the CLASSroom! To enter, be sure to leave a comment there, and at every stop along the hop by August 11th, 2015. Winners will be announced by the weekend. The beautiful Poinsettias were white heat embossed onto heavyweight vellum, die cut, and colored/shaded on the reverse side with Copic markers R21, R35 (smallest top flower); R35 & R37 (middle flower); and R37 & R39 (bottom flower). The leaves were colored with Copic G24 & G28. The poinsettias were stacked together with clear dimensional tape and the centers accented with Platinum Stickles, to add a little bit of holiday glamour! The colored vellum gives the look of stained glass! The background in the frame is Neenah Desert Storm cardstock dry embossed with Taylored Expressions Woodgrain Embossing Folder and the top raised embossing lightly colored directly with a white pigment ink pad. The pretty Noel sentiment is from Julie's new Mistletoe & Holly stamp set. It was heat embossed with Liquid Platinum embossing powder on vellum and die cut with one of the pumpkin dies from the new Got Candy die set! Aren't those elves too cute?!! I stamped them all with Memento Tuxedo Black ink onto Copic X-Press It Blending Card and colored them with these Copic markers: R24, R27 (clothes & hats); E00, E11, R11 (faces); (E25 (hair); C1 (hats & gloves shading). Then they were all cut out with their coordinating dies. The striped backgrounds were stamped with white pigment ink and MFT's Diagonal Stripes Background onto Neenah Desert Storm cardstock. The tag above was die cut with Taylored Expressions Build a Tag 2, and the smaller tag two below was cut with the Build a Tag 3 die set. The sentiments from the Elf'd stamp set were white heat embossed onto the Bazzill Peppermint cardstock backgrounds. All the tags were tied with white bamboo cord colored with Copic R24 marker. Silver jingle bells were added with silver metallic string. The background of the large tag (above) was stamped with the snowflakes included in the Elf'd stamp set, in white pigment ink. Thank you SO MUCH for joining me today ... I know you are going to love all of these new stamp sets and dies for your Fall and Holiday papercrafting projects! Your next stop on the hop is: Angel Johns . . . Happy hoppin’! THANK YOU FOR ENTERING THIS GIVEAWAY ... IT IS NOW CLOSED. WINNER WAS ANNOUNCED IN 8-12-15 POST.